Robot vacuum cleaners have been available for some time now, but what to you use if you want to clean wooden or tiled floors? There is a new robot cleaner which will be available from the guys over at Evolution Robotics called the Mint. The Mint is designed to clean hard floors like wood, tiles and laminates and it uses special dry cloths to pickup dirt and dust from your floor, check out the video of Mint in action below. 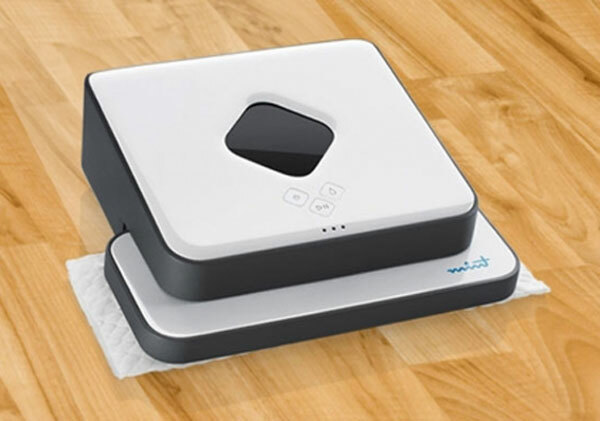 The Mint will be available shortly from Evolution Robotics for $249 and its is now available to pre-order, so here is another robot to add to your army of house cleaning robots.